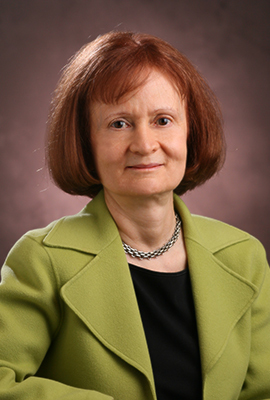 Margaret V. Sachs, the Robert Cotten Alston Chair in Corporate Law Emerita, joined the University of Georgia School of Law faculty in 1990. She taught Securities Regulation, Securities Litigation and Enforcement, and Corporations until her retirement in 2018. She is the author of numerous articles on securities litigation and enforcement as well as the co-author of the first casebook on that subject, the fourth edition of which was published in 2017. In 2010, the U.S. Supreme Court cited her article critiquing the lower courts’ transnational securities fraud jurisprudence. She is a member of the American Law Institute. A native of Washington, D.C., she earned her undergraduate and law degrees from Harvard University. Upon graduation, she clerked for the U.S. Court of Appeals for the Second Circuit and practiced briefly with a large Wall Street law firm. Securities Litigation and Enforcement: Cases and Materials, 2d. ed. (with Donna M. Nagy and Richard W. Painter) (Thomson/West, 2007). Securities Litigation and Enforcement: Cases and Materials (Thomson/West, 2003). Teacher's Manual to Accompany Securities Litigation and Enforcement: Cases and Materials (with Donna M. Nagy and Richard W. Painter) (Thomson/West, 2003). Unintended Consequences: The Link between Judge Friendly's Texas Gulf Sulphur Concurrence and Recent Supreme Court Decisions Misconstruing Rule 10b-5 , 71 SMU L. Rev. 947 (2018). Superstar Judges As Entrepreneurs: The Untold Story Of Fraud-On-The-Market, 48 U.C. Davis L. Rev. 1207 (2015). Social Proposals Under Rule 14a-8: A Fall-Back Remedy in an Era of Congressional Inaction, 2 U.C. Irvine L. Rev. 931 (2012) (Symposium on Business Law as Public Interest Law). Materiality and Social Change: The Case for Replacing "The Reasonable Investor" with "The Least Sophisticated Investor" in Inefficient Markets, 81 Tul. L.Rev. 473 (2006). Women in Corporate Law Teaching: A Tale of Two Generations, 65 Md. L. Rev. 666 (2006) (women and corporate governance symposium). Harmonizing Civil and Criminal Enforcement of Federal Regulatory Statutes: The Case of the Securities Exchange Act of 1934, 2001 U. Ill. L. Rev. 1025 (2001), reprinted, 44 Corporate Prac. Commentator 199 (2002). Judge Friendly and the Law of Securities Regulation: The Creation of a Judicial Reputation, 50 SMU L. Rev. 777 (1997), reprinted in 39 Corp. Prac. Commentator 405 (1997) and 1998 Sec. L. Rev. 647. Freedom of Contract: The Trojan Horse of Rule 10b-5, 51 Wash. & Lee L. Rev. 879 (1994), reprinted in 37 Corp. Prac. Commentator 103 (1995). Are Local Governments Liable Under Rule 10b-5? Textualism and Its Limits, 70 Wash. U. L.Q. 19 (1992). The International Reach of Rule 10b-5: The Myth of Congressional Silence, 28 Colum. J. Transnat'l L. 677 (1990). Exclusive Federal Jurisdiction for Implied Rule 10b-5 Actions: The Emperor Has No Clothes, 49 Ohio St. L.J. 559 (1988). The Relevance of Tort Law Doctrines to Rule 10b-5: Should Careless Plaintiffs be Denied Recovery?, 71 Cornell L. Rev. 96 (1985), reprinted in 1987 Sec. L. Rev. 113. Claiming Illegal Electronic Surveillance: An Examination of 18 U.S.C. § 3504(a)(1), 11 Harv. C.R.-C.L. L. Rev. 632 (1976).